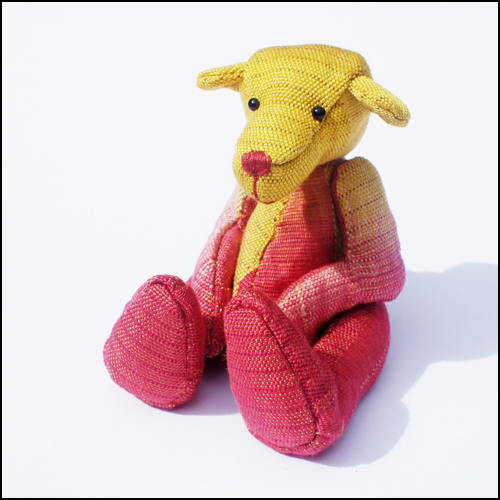 Clemence is a shy 4″ sitting teddy bear handmade using luxurious 100% silk yarn. The yarn was dyed by hand to give him a graduating colour and subtle pin stripe. He is fully hand woven and hand stitched to ensure he is of the highest quality. Five cotter pin joints ensure his head, arms and legs are movable. His little glass eyes and hand stitched nose give him real character.